Good afternoon and Happy Glorious Monday!!! The weather is all full on ugly mess this week. Rainy, windy, cloudy, cold, ugliness… blah to this early winter nastiness. Figuring your eyes need something funtimey and not ugly to look at, we bring you a quick little peek at what is new and popping at Hobie Surf Shops in store and online! New mens gear from Insight and Hobie Polarized is locked and loaded heading into the holidays. We love Insight’s well constructed, yet simple stylings. The sunglasses from our good friends and name sharers, Hobie Polarized, are always a huge seller in the shops. They have come a looooonnngggg way in style this year. The Dogpatch is our number one frame in shops and online! Love seeing these guys keep up with modern design, while never forgetting the sportsman customer. To shop Hobie Polarized online, please click HERE. Our FAVORITE, by far and away, new find this week our the new ‘Guppy’ model handplanes from Michael Arenal. 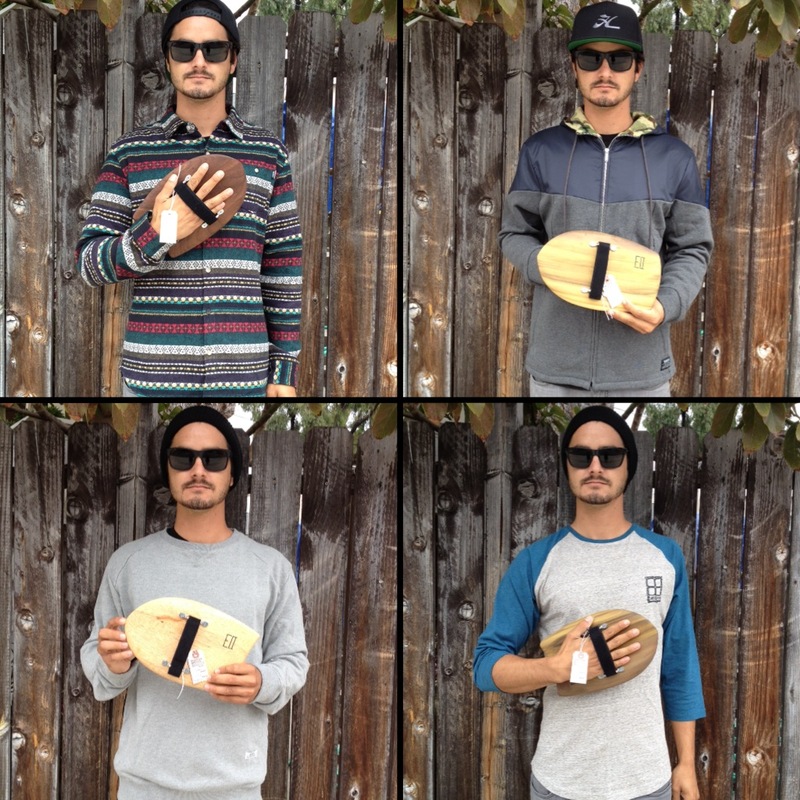 Not only are they handcrafted right here in California, but Michael also works for us in our Dana Point shop. He has grown as a shaper and designer so much in the past years, it’s incredible to be able to offer his handiwork to our loyal customers, wether in shops or online!! To shop the ‘Guppy’ online, Click HERE. This entry was posted in General and tagged blog, california, corona del mar, Dana Point, dogpatch sunglasses, glass, guppy, handmade in america, handplane, hobie, hobie polarized sunglasses, Hobie Shop, Hobie surf, Hobie Surf Shop, Hobie Surfboards, insight clothing, Laguna Beach, michael arenal, San Clemente, Shaper, shop, style, surf shop blog, surf shops, Surfing, surfshop, Tracey Engelking. Bookmark the permalink. I have Hobie Polarized sunglasses and think they are top notch.